Police Scotland are keen to speak to Terry John Lewis who lives in the Findochty area and has been reported missing by his family. Terry caught a train to Aberdeen from Keith early on the morning of Friday 15 December 2017 and was believed to be catching a Megabus from Aberdeen to Brimingham so he could visit family in Telford. Terry last spoke to his family about 1.00pm on Friday 15 December 2017 and has not yet arrived in Telford. 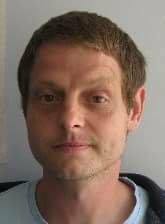 Anyone has seen Terry since the early morning of 15 December 2017 or has any information as to his current whereabouts is asked to contact Police Scotland on 101 and for the information to be passed to the duty Sergeant for Moray. Maggie Gibson this ain’t the terry Lewis you know is it?